Jewish Christian’s in the first century faced a monumental challenge from their Jewish heritage. Keeping the Law of Moses was not an infrequent occurrence but daily life in every facet of their family, work, nationality and faith. Believing Jesus was the Christ was a tremendous sacrifice learning to walk away from a law they had known since birth. As their faith turned from a devotion to Moses and the Law to the spiritual law of Jesus Christ, there were many roadblocks and hurdles they had to overcome. The book of Hebrews is a powerful thesis to the victorious faith of those who learned of the better promises in Christ serving a better priesthood. In his argument of redemption by Christ, the author presents the problem of the priesthood being changed necessitating the change in the law. Moses was given a law by the Lord that required an established priesthood from the tribe of Levi. Aaron was the first High Priest and through the son of Jacob, the Levites became the priestly tribe. No one could serve as priests who were not Levites. The Levitical priesthood was a core element of the Law of Moses but the book of Hebrews shows the priesthood was changed. Animal sacrifices could not take away the sins of the people because Jesus had shed His blood for redemption. The Law of Moses was faulty leading to the need of a better law. Symbolically, God had shown the change of the Law when Jesus died as the veil in the Temple tore from top to bottom. There were limitations to the Law of Moses. Hebrews proves the Law of Moses has been done away with so that Jesus Christ can reign supreme as the High Priest for God’s people. The book of Hebrews shows the Ten Commandments are no longer valid. Many in the religious world believe the Commandments are still binding today. It must be remembered the Ten Commandments were linked to the Levitical priesthood and when the priesthood was annulled, the Ten Commandments were taken away. The priesthood is necessary for the implementation of Law and the Ten Commandments are a part of that law. 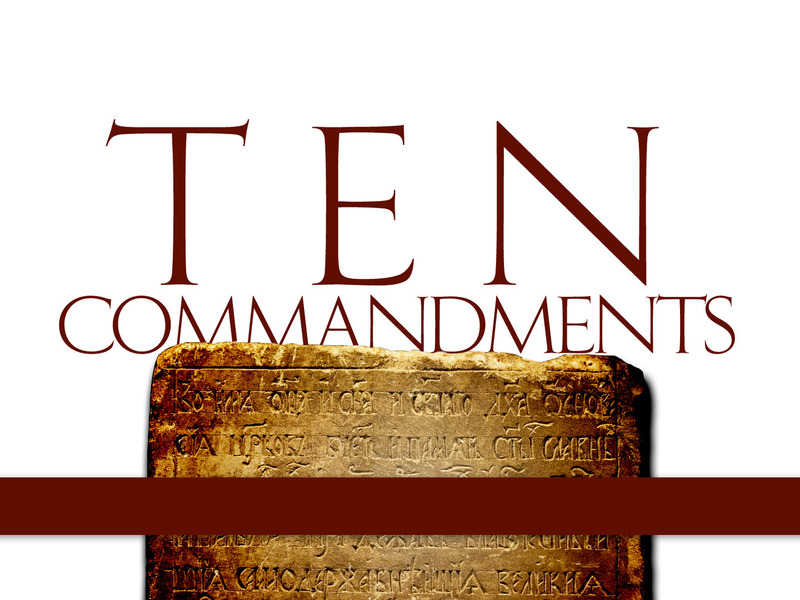 Without the Levitical priesthood, there can be no Ten Commandments. There is a necessary change in the law. Following the Ten Commandments is rejecting the better priesthood of Jesus Christ and denying He is the only way of salvation. In the first century, Jewish Christians struggled with keeping part of the Law of Moses and serving Christ as His disciples. Today, religious people face the same struggle trying to be a Christian and keeping part of the Law of Moses. The two are not compatible. The Ten Commandments and the Law of Christ are at odds with one another. One serves the law of an abolished priesthood and the other flows from the side of Jesus Christ who died to establish the better priesthood of Melchizedek becoming a Mediator of a better covenant, which was established on better promises. Salvation will never come in keeping the Ten Commandments. Jesus is the only way and His priesthood is the only means of true worship.